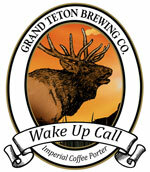 VICTOR, ID — Grand Teton Brewing Company, known throughout the West for their exceptional craft brews, will celebrate the release of Wake Up Call Imperial Coffee Porter at their pub in Victor, Idaho on Friday, August 26. Wake Up Call is the autumnal brew in their 2011 “Cellar Reserve” series of specialty beers. Wake Up Call Imperial Coffee Porter has a distinct and robust coffee flavor that blends harmoniously with the roasted malts. Caramel, chocolate, and black malts give this ale its dark color and overtones of caramel and a cocoa?like sweetness. Only very gently hopped, the addition of coffee shines through, providing a delicious accent to this brew. Grand Teton Brewing Company used well over a pound per barrel of Triple Certified Espresso beans from Caffe Ibis Coffee Roasting Company in Logan, Utah. This specialty dark roast has caramel sweetness with hints of dark chocolate and nuts and a smooth clean finish. While the focus has been on finding the perfect mate for this seasonal porter, it is no coincidence that the choice of beans also supports social justice and sustainable agriculture. Caffe Ibis is a locally owned and operated 35?year?old award winning Green Business and custom roasting house. It specializes in Triple Certified, Organic, Fair Trade, and Smithsonian Shade Grown “Bird?Friendly” coffees from around the world. Reuter’s Triple Pundit called it “The World’s Most Sustainable Coffee.” Over the years Newsweek Magazine, The Wine Spectator, and Sunset Magazine have all added to the chorus singing praises to the remarkable cup quality of Caffe Ibis Coffee. Porter was the first industrial beer, brewed for the laborers of England’s Industrial Revolution. Technological advances of the 18th century? ?such as the thermometer and hydrometer? 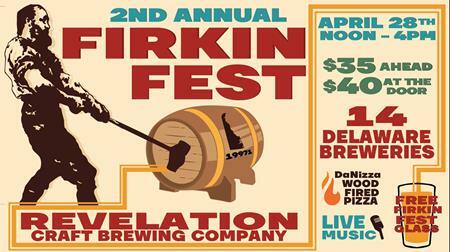 allowed brewers to refine the brewing process. These changes allowed for brewers to create consistent batches of beer, and that beer was nearly always porter. The addition of coffee to porter is an even more recent creation, with craft brewers of the past 30 years embracing the enhancement that coffee makes to the flavor and body of dark ales. The coffee flavors in this ale pair exceptionally well with meaty entrees: drink this Imperial Porter with grilled steak, barbequed spare ribs, or portabella mushrooms sautéed with soy sauce. The toast and chocolate?like flavors of the dark malt complement sweet confections. Any dessert that you would take with coffee will be a fine accompaniment to this ale. We recommend tiramisu, hazelnut scones, and German chocolate cake. If stored appropriately, this beer should stand up to the test of time. The roasted coffee and rich maltiness will mingle together and mellow with age; but at 7.5% alcohol by volume, we don’t recommend you cellar it for much more than a year. The Cellar Reserve series of beers are unique, different even from other craft beers. Grand Teton Brewing Company’s Cellar Reserves are brewed with specialty hops and malts and unique strains of yeast. Most ales and lagers are produced in 2?4 weeks. However, up to 8 months are spent on each of the Cellar Reserve specialty brews. They are also bottle?conditioned, which produces natural carbonation that will blend and smooth the flavors with time. Proper aging of many of these bottles creates beers to be cherished. Grand Teton Brewing Company will release three specialty brews in the Cellar Reserve line for 2011. The production quantity for each brew is very limited. Wake Up Call Imperial Coffee Porter is available at select locations in California, Colorado, Idaho, Illinois, Kansas, Massachusetts, Minnesota, Missouri, Montana, Nevada, North Dakota, South Carolina, South Dakota, Washington, Wisconsin and Wyoming! Call the brewery at 1?888?899? 1656 for information and availability on this exciting new product.